Increasingly, cloud is not just about improving a company’s bottom line. This year we have seen a number of real world scenarios where cloud and emerging technologies are being deployed to address real-world issues, such as environmental and wildlife conservation and to foster smarter cities. 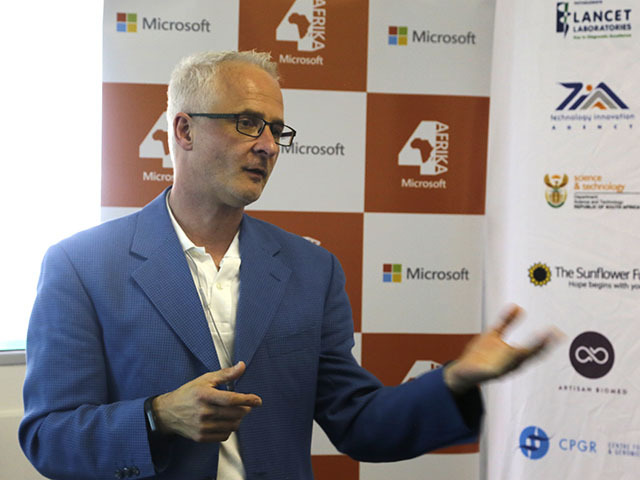 The latest announcement though is a fascinating one, with cloud being used to ramp up healthcare considerably, as Microsoft and the Centre for Proteomic and Genomic Research (CPGR) unveiled a joint project to this end at an event in Cape Town this week. The duo elaborated on how they will be working together moving forward to advance medical analysis and research, and detailed why such an initiative is so necessary now. In a nutshell, the project will enable the CPGR to take advantage of a scalable technology platform, running on Microsoft Azure, to better store and transfer the massive amounts of data involved in genomic research, and thus facilitate better collaboration between scientists. Dr Reinhard Hiller, the founder of the CGPR, explained that one of the ways that science has changed in past twenty years, is that genes used to be examined one at a time. However, with new technologies coming online, scientists can now analyse all of a genome, or at least most of it. As well, new types of equipment has enabled science laboratories to generate data at a massive scale and volume. Furthermore, the cost of sequencing and digitising the human genome has decreased considerably, from $3.5 to $4 billion dollars in 2003 to approximately $1 000 today. Why, you may ask, does this matter? Mainly because genomic and proteomic research give us a means of understanding and diagnosing certain diseases much more effectively. The holy grail of such research being able to create a genomic signature for a particular disease, like cancer, with which diagnostic procedures could be enhanced. “We are working towards being able to generate a disease risk score, where it would be possible to take data and using the proper assessment and correlation get a view of your risk of developing diabetes or other complex diseases,” enthused Hiller. It’s not difficult to envision a near future where the likes of precision medicine could allow for the treatment of genetic dispositions or anomalies that would otherwise lead to a certain disease. In the immediate term, some of the applications for the research being done by the CPGR include non-invasive, pre-natal testing, stem cell matching, gene sequencing and being able to test for a proclivity towards breast cancer in women. However, there are also obstacles, both national and technological, that have to be addressed, to really fulfill its potential. 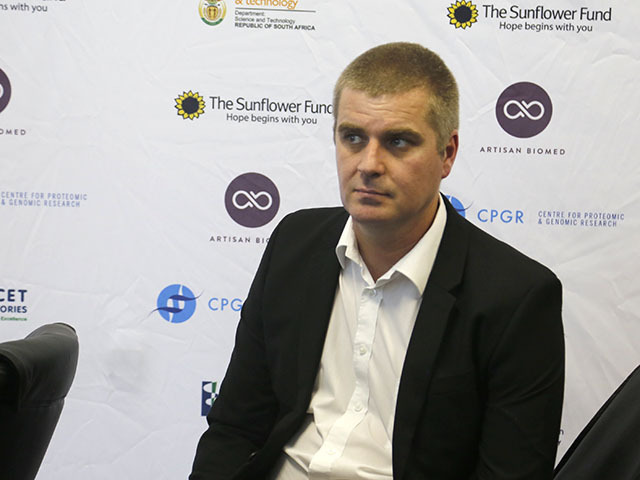 Hiller explained that firstly, facilitating research is particularly important in South Africa, explaining that as in many other areas, the country is lagging behind the global community. “For example, globally we see 16 000 publications of research articles per year, in South Africa have about 200,” he noted. A second issue that needs to be addressed is the complexity of the African genome itself, and the sheer diversity of the African populations. “Interpreting an individual’s dataset requires a frame of reference. With every additional piece of information that has been added, the easier it becomes to interpret one particular dataset. As well, the more we accumulate other metadata, the more conclusions we can draw about risk factors in the population,” he continued. Put in another way, for genomic sequencing and all the benefits it could bring to become manifest, the more information that can be gathered, collated, shared and stored, the better. Thirdly, there is the technological issue. 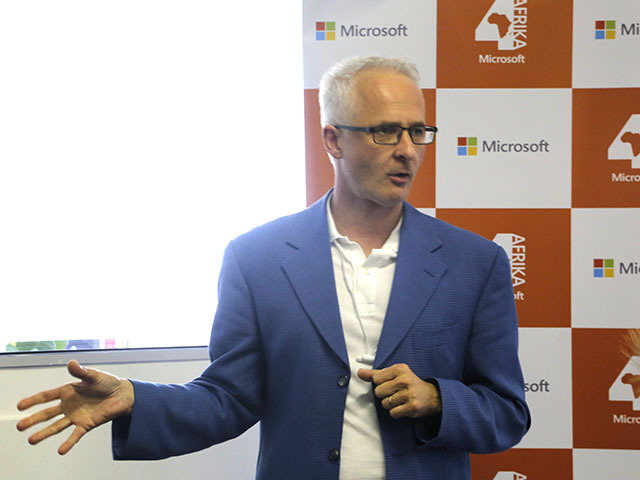 Ryno Rijnsburger, the CTO for Microsoft 4Afrika, pointed out that the data from a single genome could amount to 100 GB. This quickly becomes far beyond the reach of a normal PC or hard drive array. He elaborated that with a human genome generating 100 GB of data research, labs are not going to be able to keep up with that in normal storage environment, so it becomes necessary to avail themselves of a hybrid cloud environment. Rijnsburger added that as a cloud platform, Microsoft Azure addresses a number of issues that a lab would otherwise have to contend with. The fact that Azure is scalable means that labs need not worry about running out of storage space, particularly as they synthesize more genomes and develop a database for comparative analysis. Furthermore, it is economical, with, from a storage perspective, customers able to expect a cost saving of between 6 to 10 times of what it would cost to trying to manage all their data storage on premise. “Because we buy hundreds of thousands of hard drives at a time, the economies of scale means that we get them much cheaper from a provider, and we can pass that value back to the consumer,” he elaborated. Rijnsburger added that Azure is also powerful, in that it can offer the kinds of processing power to perform the required analysis. Last, but certainly least, Azure Cloud addresses issues of compliance with particular regulations as to how data is stored, and is secure. He pointed out that, once labs can store massive amounts of data somewhere – in this case, on a cloud – it then becomes possible to bring in machine learning and artificial intelligence and enable the AI to infer conclusions that we may never have anticipated. As well, with Microsoft’s datacenters coming online in Cape Town and Johannesburg in the near future, this also bodes well for the local research scene, especially with the speed with which genomic data can then be shared and accessed. 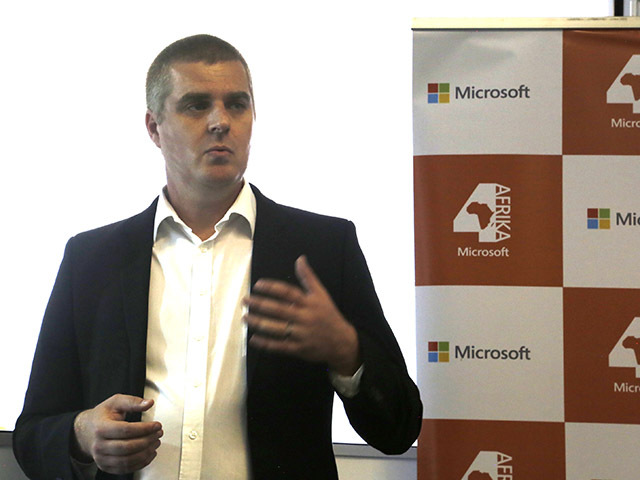 “For Microsoft 4Afrika, it is one of the most exciting fruits of our long term investment into Africa’s economic, social and technological development. We are providing both financial and technical support to the CPGR, and also intend to bring our Microsoft experts to work with the team through our MySkills4Afrika volunteer programme,” he enthused. Ida Wilson, an independant researcher and scientist from Ida Wilson Consulting, pointed out that while researchers are empowered with the ever increasing ability to generate data, data alone does not mean much unless it is can be stored, accessed, and analysed to make meaningful deductions. "The initiative of CPGR to join forces with Microsoft in storing and managing biomedical data opens up a world of possibilities. The speed and accuracy with which these data is uploaded to servers will be vastly enhanced, and the stability of the Azure platform allows massive datasets to be stored, accessed and analysed for years to come," she enthused. Wilson noted that, for a single individual, the full complexity of that individual’s health status, future health risks, their biomedical history and even responses to treatment could potentially be housed under a personal identifier (login). The potential of this platform idoes not merely mean that early detection and diagnoses of diseases like diabetes or cancer will be possible for an individual. Once the infrastructure of biomedical data generation and management has been put in place, the possibilities of how the data can be queried, and what information could be deducted from it will be endless. So essentially, it is the first step towards a whole new future in disease diagnostics and treatment," she added. In essence, the announcement means that quite literally, those of us on the African continent can anticipate a future where cloud technology and scientific research leads towards a better health situation for us all.